Comedy sequels share a lot in common with both video game movies and modern horror films centered around possession – and by that I mean that most of them are pretty much terrible. There are countless examples of studios trying to re-capture lightning in a bottle by recreating the same exact story a second time, are more often than not these titles wind up being perfectly forgettable. That being said, there are actually a good number of comedy sequels out there that are actually as good as their predecessors – and some that are even better. Phil Lord and Chris Miller have a tendency to take on projects that look terrible on paper, but wind up really succeeding on the big screen. 22 Jump Street is one such title. 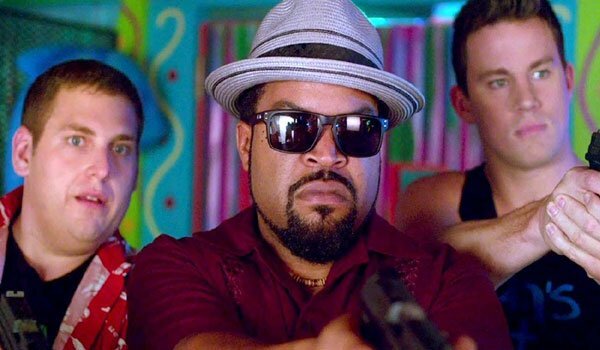 Nobody expected 21 Jump Street to be nearly as good as it was, and there was plenty of concern the follow-up would be a letdown, but it most definitely was not. 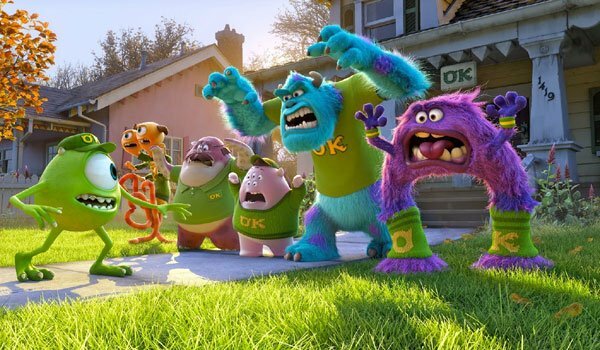 Openly mocking conventions of comedy sequels – such as doing the exact same thing over again to appease the studio – is the fuel that drives the movie, and it winds up being a fantastic satire riddled with amazing lead and supporting performances. Here we have a sequel that has actually managed to become just as iconic as the original. 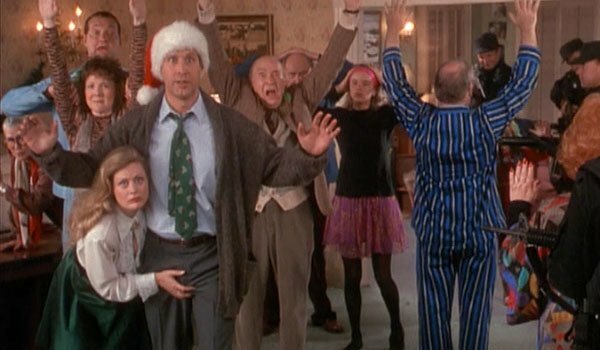 In the same way that the first National Lampoon’s Vacation is one of the quintessential road trip movies, Christmas Vacation is absolutely one of the quintessential holiday movies, and has become an annual tradition in many households. The film finds a way to hilariously hit on the suburban Christmas experience, and from the city-wide power outage to the Jelly of the Month Club-inspired rage, the comedy is basically a string of memorable sequences. 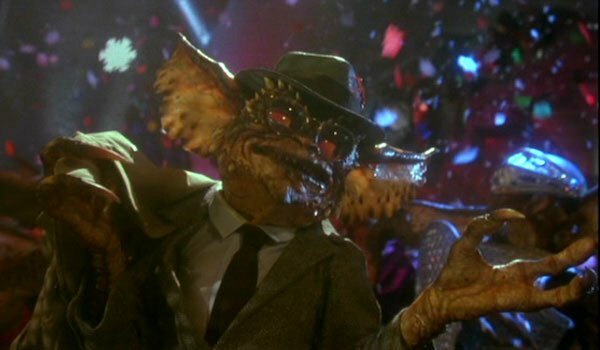 Joe Dante’s Gremlins 2: The New Batch was certainly underappreciated when it was first released, but looking back on it, the movie is actually a pretty fantastic satire of the whole sequel process and dealing with a studio. Sure, the ridiculous factor is taken up a few notches from the classic original Gremlins, but that’s kind of what sequels are expected to do, so it’s pretty hard to fault it. It’s a shame that the upcoming reboot/sequel will ignore its part in the continuity, but it shall not be forgotten. 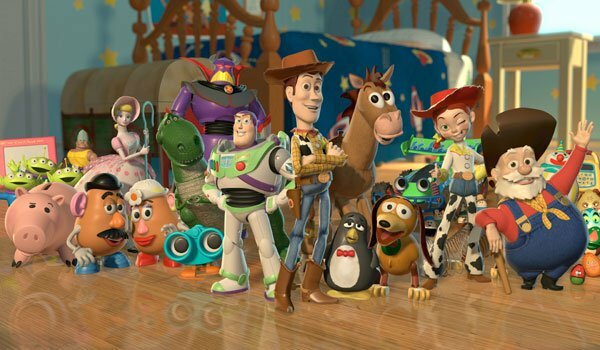 There are some who say that Pixar kind of lost its way once it started getting into the sequel business, but at the same time it’s pretty damn hard – if not impossible - to point a finger a Toy Story 2 as a misstep. Featuring beautiful animation many steps beyond the game-changing original, the film has a very different story to tell, and executes a brilliant vision that also includes some brilliant new characters. And while the beginning of Up is certainly a tear-jerker, the song about Jessie’s origins is about as emotional as any moment from the entire Pixar catalogue. Harold and Kumar Go To Guantanamo Bay really shouldn’t be as good as it is. After all, it’s a silly stoner comedy that basically follows a couple of buddies as they trek across the nation getting into constant pot-fueled hijinks. Amazingly, though, the film wins you over by just being extremely stupid and funny. Kal Penn and John Cho deserve all the credit in the world for their fantastic on-screen chemistry and dynamics, and it certainly doesn’t hurt to have a supporting cast that includes Rob Corddry, Missi Pyle, Ed Helms, David Krumholtz, Christopher Meloni, and, of course, Neil Patrick Harris. 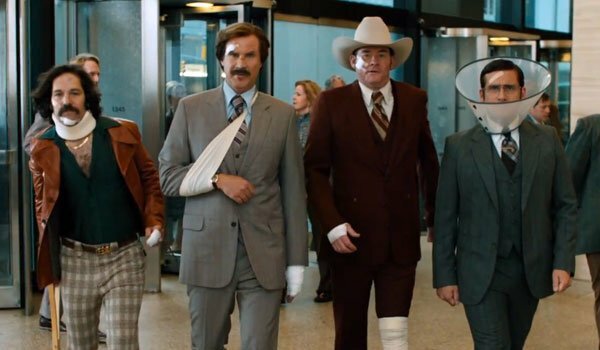 Given how many years director Adam McKay and star Will Ferrell spent trying to get Anchorman 2 made, there definitely existed a level of pressure on it by the time it arrived in theaters. The good news is that, like its predecessor, the film is really just a dumb, silly comedy that gets by on a collection of some big laughs. Certain elements don’t work, but the core group of Ferrell, Steve Carell, Paul Rudd and David Koechner are just as strong as they were in 2004. I’ve truly never understood the hate for Ghostbusters II. Being born in the late 80s, I admittedly didn’t see it until many years after its theatrical release, but I honestly think it stands right alongside the original, and while perhaps not quite as good, it’s still pretty fantastic. 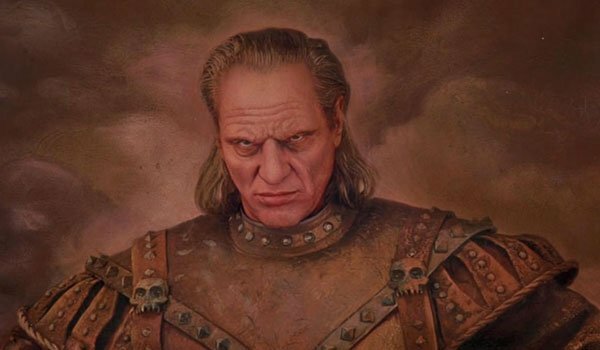 From the weirdly terrifying Vigo the Carpathian, to the battle with the Scoleri Brothers in court, the movie actually has many notable pop culture moments, and it’s easy to appreciate that the story isn’t just a carbon copy of the first film. Dancing toasters are silly, sure, but this is definitely one of the most underrated sequels out there. A Shot In The Dark is the oldest sequel on this list, originally released back in 1964, but it may also be the funniest. 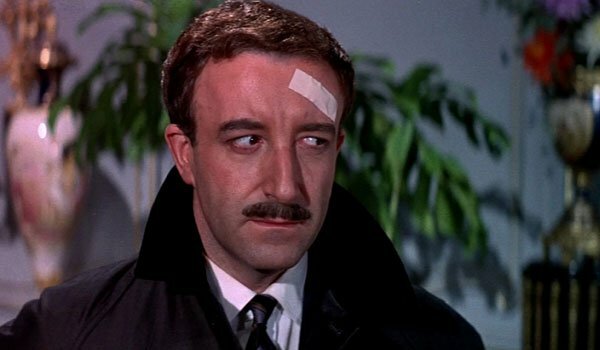 Peter Sellers put on many brilliant and hilarious performances over the course of his career, and even had multiple hits with director Blake Edwards, but this follow-up to The Pink Panther ranks amongst his best. His time as the bumbling, idiotic Inspector Jacques Clouseau will be remembered for generations, making audiences laugh for years, and this film is just as key to that legacy as the first film. 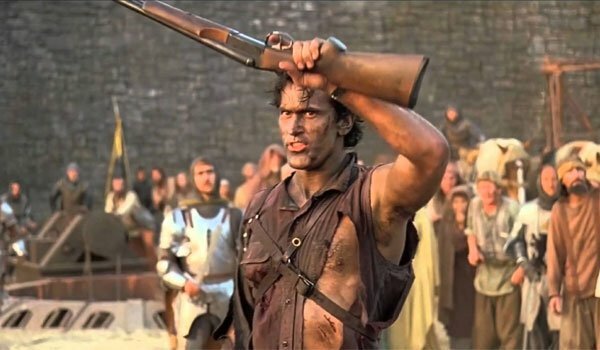 Given that the Evil Dead franchise was originally intended to mostly terrify the audience this inclusion might be a bit controversial… but given how much I laugh at both Sam Raimi’s Evil Dead II and Army of Darkness, I’m saying that the latter definitely qualifies as a comedy sequel. While this one isn’t for audiences that can’t handle a good level of silly, I’m included amongst those who see it as a bona fide classic, with Bruce Campbell’s Ash Williams delivering a full collection of some of the best one-liners ever. It’s a brilliant piece of work, and the fact that the story has continued so perfectly in Ash vs. Evil Dead only makes its legacy that much stronger.